If you are in the end of your lease and you want to have your flat thoroughly cleaned, we can offer you our reliable end of tenancy cleaning services. They will ensure you perfectly cleaned rooms which will be ready for renting by the next lodgers. All you have to do to order our end of tenancy cleaning is call us and arrange a date and time you prefer it done. We can offer you flawlessly cleaned rooms, which will be taken care of, whenever each customer prefers. Our company works seven days a week, including the bank holidays. Our office is located in London and provides affordable end of tenancy cleaning services. Vacuum cleaning carpets, rugs, sofas, armchairs, etc. If you rely on our cleaners to provide the necessary cleaning procedures, they will make your rooms sparkling clean and hygienic. The kitchen, bathroom, toilet, bedrooms, hallways and living room will look in a completely different way after our cleaners take care of them. The grime, dust, cobwebs, mould and grease will be removed from every room and surface. Our cleaners use modern and effective vacuum cleaning machines and eco-friendly detergents. 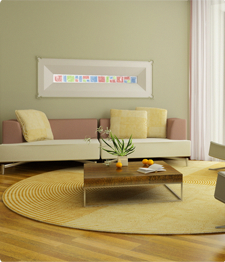 They have a lot of experience and can offer you timely and professional cleaning of your rented flats. You can use our affordable and qualitative end of tenancy cleaning services any time you need them. They will ensure you fast and professional cleaning of every room in your rented flat. We provide them on very competitive price every day from Monday to Sunday in London. Call us and order the end of tenancy cleaning you need and we can assure you that the results will be professional. Every room will be sanitized and rid of the dirt, it had accumulated over the time. We are expecting your calls. Our call centre works 24/7.